Once in a while I get loose from the UWS Mediaacademy and get out more and I spent a truly inspiring day at the Media Guardian Edinburgh Internaional Festival Network event the other day. 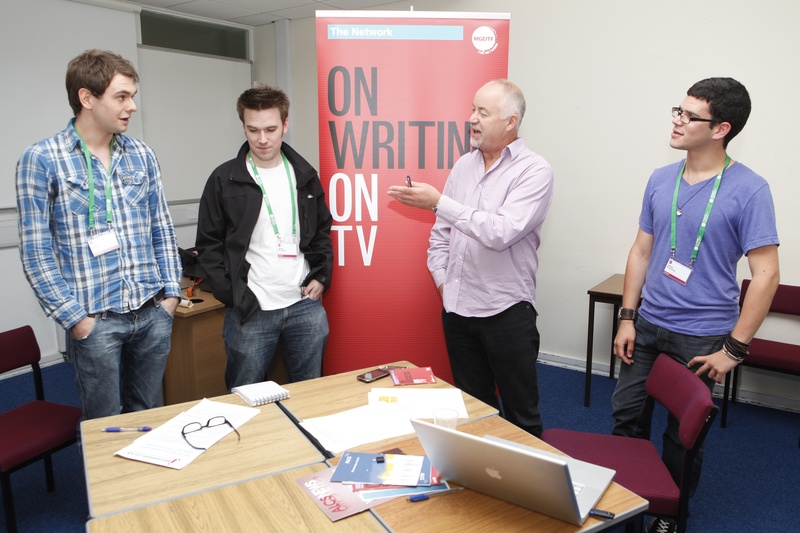 The Network (formerly TVYP) is run in parallel with the International TV Festival and is committed to identifying and developing young creative talent who are interested in a career in Television. Thousands of hopefuls apply, and this year 80 successful delegates descended on Edinburgh for four free days of masterclasses, workshops and career chats. 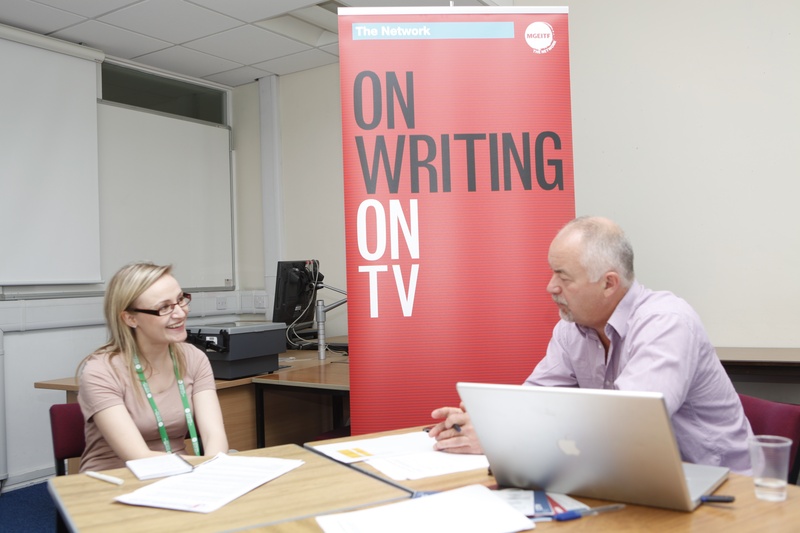 "Writing's fine, but I really want to direct"
“The Network is now in its 20th year, each year The Network delegates have the opportunity to meet, work with and learn from leading creative industry figures ranging from scriptwriters to producers, presenters to publicists, programme schedulers to commissioning editors. Past contributors have included Chris Evans, Russell T Davies, Davina McCall, Jimmy Carr, Sir Trevor McDonald, Simon Amstell, Kirsty Young, Jana Bennett, Director of BBC Vision, Tim Hincks, Chief Executive, Endemol and Jon Snow.”. My particular workshop was sponsored by the ALCS , and through them I was fortunate enough to be able to discuss creativity and screenwriting on an individual basis with 15 of the delegates this year, and an overwhelming and humbling experience it was too. Tash Collie pitching her new Radio Drama. The feedback from the whole event is just in, and modesty forbids me repeating it all here. Suffice to say the delegates went away brimming with ideas, enthusiasm and creativity. If you are a creative young person who wants to be involved in the TV Industry, keep an eye on the Network Website for details of next years initiatives. It’s well worth it, even for the old fogeys like me who are supposedly “teaching” you. Special thanks has to go to James, Suzy and Holly for all their hard work and for providing me with the photos. I was one of the delegates who was lucky enough to nab a slot with you (the girl in the pink T-shirt in the above picture, in fact!) and I’ve just read this blog entry. I’d like to say a massive thank you for your time at The Network: it was an absolute pleasure to chat to you and our discussion gave me lots of ideas for how to build on my initial suggestions. I’m really enjoying reading your blog, too! Well Tash, in all the rush I didn’t writer down any of your names so I will now be happy to credit you in the photo. Keep in touch and let me know how things are going with you in the world of creativity.